The Dinners at Home Program was started in 1999 to support the elderly population in the South Okanagan. 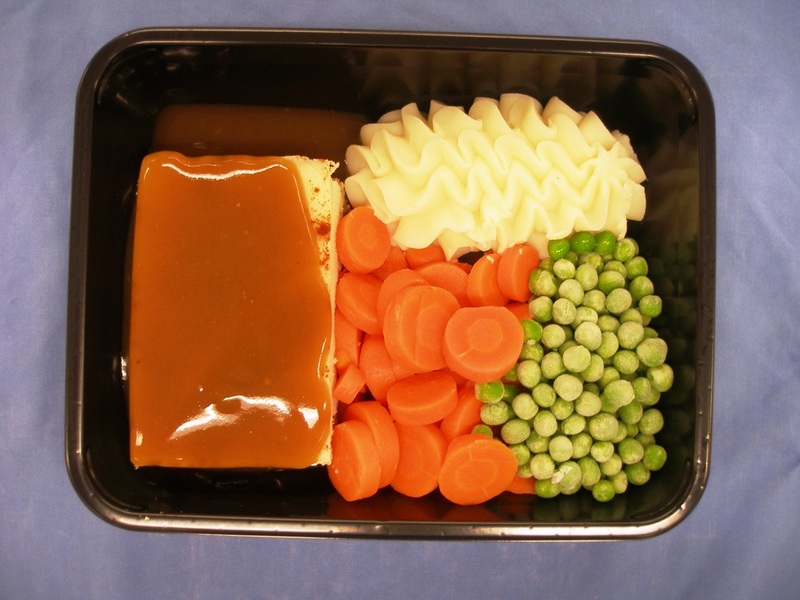 The meals are prepared by Interior Health employees in the Penticton Regional Hospital and frozen to allow for safe transportation and distribution anywhere in Interior Health. 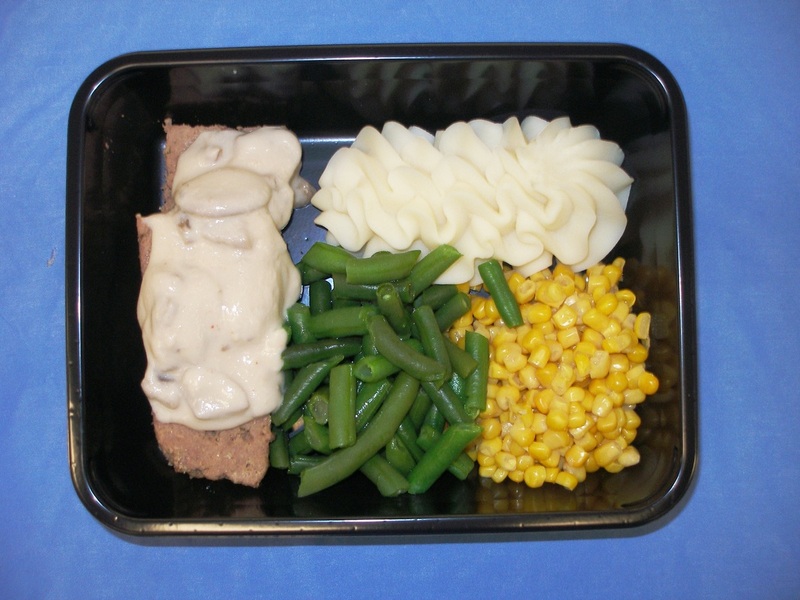 Many of the Meals on Wheels programs in Interior Health provide one or more of the Frozen Dinners with their hot meal delivery service for clients to use on days when Meals on Wheels is not delivering. 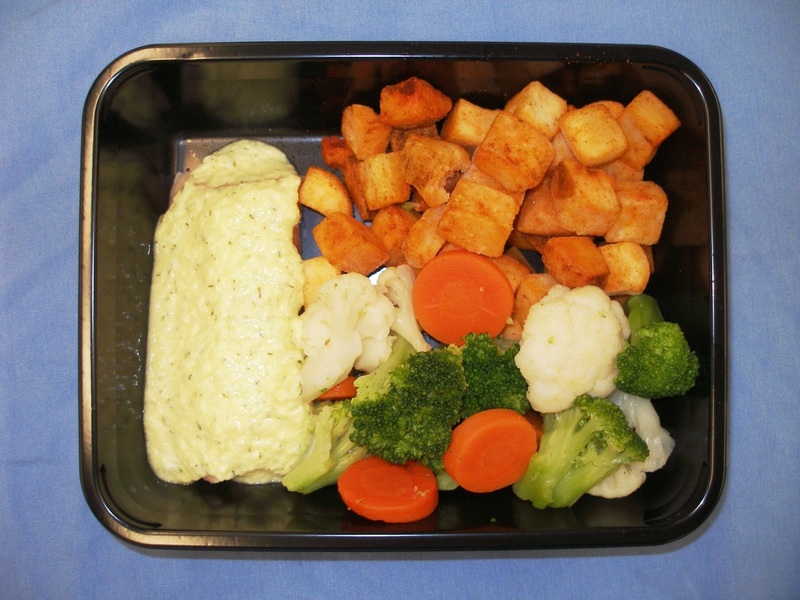 The meals have been prepared on containers that can be heated in a microwave or a regular oven. Hearty Beef Vegetable Stew with Mashed Potatoes and Cheese Scone. Swedish Meatballs served with Egg Noodles and Mixed Vegetables. Roast Beef served with Yorkshire Pudding, Mashed Potatoes, Julienne Carrots, Green Beans and Gravy. Cabbage Casser-rolls with Mashed Potatoes, California Mixed Vegetables. Shepherd’s Pie with Mashed Potatoes, Peas, Carrots and Gravy. Meat Loaf served with Mushroom Gravy, Mashed Potatoes, Cut Green Beans and Corn. Liver with Mashed Potatoes, Squash, Peas and Onion Gravy. Baked Ham served with Scalloped Potatoes, Corn and Peas. Roast Pork Loin served with Mashed Potatoes, Whole Green Beans, Cauliflower and Gravy. Oriental Sweet & Sour Chicken served with Plain Rice and Cut Green Beans. Chicken a la King with Rice Pilaf and Mixed Vegetables. Butter Chicken (Indian Cuisine Item) served with Plain Rice and Prince Edward Mixed Vegetables. Chicken Breast in Mushroom Sauce served with Mashed Potatoes and Northwest Mixed Vegetables. 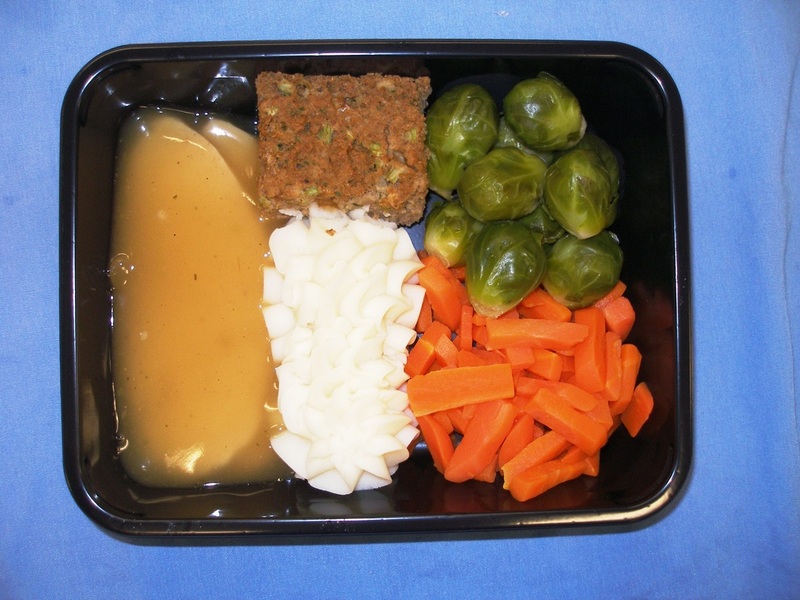 Roast Turkey served with Bread Dressing, Mashed Potatoes, Julienne Carrots, Brussel Sprouts and Gravy. Filet of Sole Neptune with Rice Pilaf, Broccoli and Carrot Coins. Filet of Salmon in Lemon Dill Sauce served with Roasted Potatoes and California Mixed Vegetables. Tomato Vegetable Lasagna served with Green Beans and Garlic Toast. Macaroni & Cheese with Garlic Toast and Broccoli. Mexican Fiesta Bean & Rice Casserole served with Mexican Tomato Rice and Corn. Lentil Barley Stew with Roasted Potatoes and California Mixed Vegetables. Broccoli Cheese Quiche served with Mashed Potatoes and Carrot Coins. Beef Stew: Stew beef, potatoes, peas, onions, celery, carrots, perma-flo starch (corn), beef base (dehydrated soy and corn protein, dextrose, cornstarch, enriched wheat flour, caramel, autolyzed yeast extract, citric acid, celery extract, garlic extract, lemon juice solids, flavours, sodium citrate, sulphites), gravo rich (hydrolyzed soy and corn protein, caramel, sugar, canola oil, corn syrup solids, wheat flour, beef fat, hydrolyzed soy and cottonseed oil, autolyzed yeast extract, onion powder, citric acid, dextrose, paprika extract, artificial colours, flavours, lemon juice solids, tartrazine, sodium citrate, garlic extract, sulphites), rosemary, thyme, bay leaf, black pepper. Mashed Potatoes (Extra Rich): Potatoes, Maltodextrin, Shortening Powder (Hydrogenated Soybean Oil, Lactose, Sodium Caseinate, Dipotassium Phosphate), Hydrogenated Vegetable Oil (Cottonseed, Soybean), Mono and Diglycerides, Artificial Flavour, Artificial Colour. Freshness preserved with Sodium Bisulfite and BHT. Contains Milk Ingredients. Cheese Scone: Enriched flour, cheddar cheese, hydrogenated vegetable oil, shortening, water, sugar, milk ingredients, egg, baking powder, artificial flavour. Yorkshire Pudding: Flour, eggs, milk, salt. Gravy: Water, beef bouillon base (2), LS beef soup base (3), freezist starch, all purpose flour. Cabbage Rolls:Ground beef, cabbage, onions, tomato juice, tomato puree, rice, ketchup, tapioca starch, Tabasco sauce (red pepper), garlic, mustard, pepper, salt, bay leaves. California Mixed Vegetables: Cauliflower, carrots and broccoli. Shepherd’s Pie: Ground beef, celery, carrots, onions, bread crumbs, beef base (dehydrated soy and corn protein, dextrose, cornstarch, enriched wheat flour, caramel, autolyzed yeast extract, citric acid, celery extract, garlic extract, lemon juice solids, flavours, sodium citrate, sulphites), gravo rich (hydrolyzed soy and corn protein, caramel, sugar, canola oil, corn syrup solids, wheat flour, beef fat, hydrolyzed soy and cottonseed oil, autolyzed yeast extract, onion powder, citric acid, dextrose, paprika extract, artificial colours, flavours, lemon juice solids, tartrazine, sodium citrate, garlic extract, sulphites), all-purpose flour, tapioca starch, salt, pepper. Meat Loaf: Ground beef, egg, bread crumbs, green pepper, dry onions, ketchup (tomato paste, glucose-fructose, vinegar, spices), beef base (dehydrated soy and corn protein, dextrose, cornstarch, enriched wheat flour, caramel, autolyzed yeast extract, citric acid, celery extract, garlic extract, lemon juice solids, flavours, sodium citrate, sulphites), tapioca starch, black pepper, dry parsley. Mushroom Sauce: Knorr Chicken Base, mushrooms, cream mushroom soup, freezist, gravy (beef base 1 and 2, chicken base 1 and 2, tapioca starch, flour, seasoning), chili powder. Corn: Corn, water, sugar and salt. Meatballs: Beef, water, eggs, textured soy protein concentrate, romano cheese, bread crumbs, corn syrup, onions, soy protein concentrate, salt, flavours, pepper, garlic powder, parsley. Sauce: Beef gravy mix (modified cornstarch, beef fat, salt, glucose solids, hydrolyzed plant protein, potato flour, hydrated beef stock, modified milk ingredients, yeast extract, caramel powder, sugar, onion powder, spices, flavours), sour cream, red pepper, green pepper, perma-flo starch (corn), nutmeg, black pepper, paprika. Egg Noodles: Durum semolina (from wheat), dried whole egg, niacin, ferrous sulphate (iron), riboflavin (B2), thiamine mononitrate (B1), folic acid. Mixed Vegetables: carrots, peas, green beans and corn. Onion Gravy: Beef gravy (water, beef bouillon base (2), LS beef soup base (3), freezist starch, all purpose flour), onion. Chicken Breast: Chicken breast, water, potato starch, tapioca starch, salt, sugar, sodium phosphate, dextrose, xylose, sucrose, soy sauce (wheat, soybeans, salt), maltodextrin, white wine extract, flavouring, malt vinegar, celery powder, citric acid. Mushroom Sauce: Lipton mushroom soup mix (modified corn starch, cream powder, buttermilk powder, hydrogenated vegetable oil – soybean & cottonseed, dehydrated mushrooms, salt, flavours, sugar, whey, sodium caseinate, modified cellulose, colour, soy lecithin, sodium phosphate, disodium guanylate, disodium inosinate, spice, autolyzed yeast, lactose, BHA), frozen mushrooms, whipping cream, tapioca starch, garlic, chili powder. Northwest Mixed Vegetables: Whole green beans, cauliflower florets, julienne carrots, red pepper strips, yellow pepper strips and onion strips. Grilled Chicken Thigh (Maple Leaf): Boneless chicken thighs, water, seasoning (dehydrated vegetables: onions, red and green peppers, granulated garlic, glucose solids, spices, tomato powder, dehydrated orange peel, citric acid, flavour), modified corn starch, smoke flavour, salt, sodium sulphate, spice. Butter Chicken Sauce: Butter (salted), fine minced onion, minced fresh garlic, minced fresh ginger, tomato puree (tomato, salt, citric acid), crushed tomato (tomato, salt, citric acid), tomato juice, lemon juice, plain yogurt 5%, whipping cream, freezist starch, turmeric, cumin, paprika, coriander, chili powder, cinnamon, cloves, nutmeg, sugar. Prince Edward Mixed Vegetables: Whole green beans, whole wax (yellow) beans and natural petite whole carrots. Chicken: Chicken strips, milk, carrots, celery, peas, green pepper, red pepper, onions, perma flo starch (corn), all-purpose flour, chicken base (salt, dextrose, chicken fat, corn flour, enriched wheat flour, hydrolyzed soy and corn protein, corn syrup solids, sugar, citric acid, parsley, celery extract, spice extracts), white pepper, chili powder, garlic powder. Rice Pilaf: Uncle Ben’s converted brand rice, toasted rosamarina pasta (made from 100% durum semolina), malt extract, hydrolyzed plant protein, salt, sugar, hydrogenated vegetable oil, spices, corn syrup solids, dehydrated vegetables (onion, garlic), calcium silicate, autolyzed yeast extract, flavour, tamarinds. Chicken and Vegetables: Roasted julienne chicken, kung pow mix (jicama, green pepper, red pepper, celery), carrots, pineapple juice, ketchup, soy sauce (wheat, soybeans, yeast, sodium benzoate), brown sugar, vinegar, ginger, garlic, salt, tapioca starch. Toupie Ham: Pork, water, salt, flavouring (modified corn starch, soy protein), sodium phosphate, carrageenan, corn syrup solids, sodium erythorbate, sodium nitrite, smoke flavour, smoke. Wrapped in collagen. No MSG added. Pineapple Sauce: Pineapple tidbits, pineapple juice, orange juice, brown sugar, freezist starch, water. 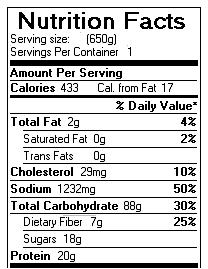 Scalloped Potatoes: Potatoes, whey, modified food starch, enriched bleached white flour, partially hydrogenated vegetable oil (soybean, cottonseed), salt, non-fat milk, romano/cheddar/parmesan cheeses (pasteurized milk, cheese cultures, salt, enzymes), corn syrup solids, dried onion, natural and artificial flavour, lactose, disodium phosphate, sodium caseinate, mono and diglycerides, garlic powder, autolyzed yeast extract, spice, dipotassium phosphate, dried parsley, spice extracts, artificial colour, disodium inosinate, disodium guanylate, lactic acid, hydrolyzed soy/corn/wheat proteins. Freshness preserved with sodium bisulphate. Roast Pork (Maple Leaf): Pork, water, flavour, corn syrup solids, carrageenan. Gravy: Beef base (1 & 2), chicken base (1 & 2), tapioca starch, flour, seasoning. Roast Turkey: Turkey breast, water, salt, sodium phosphate. Bread Dressing: Bread (whole wheat flour, water, vegetable oil, shortening, sugar, yeast, salt, whey powder, molasses, gluten, vinegar, dextrose), chicken base (salt, dextrose, chicken fat, corn flour, enriched wheat flour, hydrolyzed soy and corn protein, corn syrup solids, sugar, citric acid, parsley, celery extract, spice extracts), celery, onions, green pepper, Becel margarine (canola and sunflower oil, salt, modified palm and palm kernel oil, whey powder, soy lecithin, artificial flavour, citric acid), poultry seasoning, rosemary, sage, salt, black pepper, garlic powder, seasoning salt, parsley flakes. Gravy: Water, chicken bouillon base (5), chicken base (Minors), poultry seasoning, freezist starch, flour, kitchen bouquet. Sole Neptune: Sole, filling (shrimp, artificial crab chunks, herb sauce). Herb Sauce: Milk, white grape juice, whipping cream, lemon juice, tapioca starch, vegetable base (dextrose, corn syrup solids, autolyzed yeast extract, dehydrated onions, hydrogenated vegetable oil, colour), herb paste (rosemary, thyme, marjoram, basil, hydrogenated soy oil, canola oil, salt, maltodextrin, sugar, garlic, modified corn starch, disodium inosinate, disodium guanylate, potassium sorbate), salt, garlic, onion powder, dill weed, basil leaves, dry parsley.